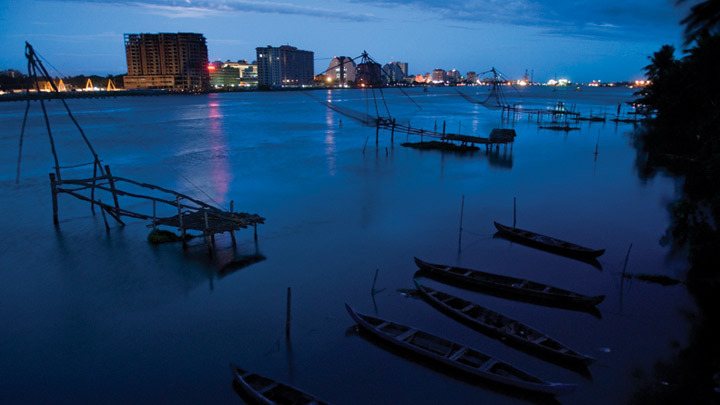 Kochi, the city which is the commercial hub of Kerala, in recent years, witnessed huge investments. The city, smartly had invested in the sectors which have potential to grow, and it did, in the past years. The backwaters of Kerala, as famous as it gets, also provides employment to the local fishermen, and making Kochi a key player in exporting seafood. Post-Independence, the development was nominal but grew exponentially during recent years. Other than seafood, oil refineries, IT sector, chemical factories, heavy engineering works, ship productions, spices, etc., are contributing to the economy of Kochi, which in turns increases the GDP and making it one of the fastest growing second tier city of India. Connected via Rail, Road and Water, the place is accessible via every transport method, every towns and cities and hence becoming the point of interest to the investors and witnessing the development in every sector. Fertilizers and chemical manufacturing units are established in 11.21 km2 area, comprising of around 250 factories. This in one hand provides employment to the people, and produces petrochemical products, rubber, fertilizers, minerals compounds, etc. The manufactured products are then transported inland into the market for consumption. Goods are further transported via trucks and freights to other state’s retail market of assembling units. Indian Rare Earth Limited, Hindustan Insecticides Limited, etc. are some of the notable companies, that produces the chemicals and related materials in the factories. Kochi has a natural harbor. This was the reason for its selection to develop a shipyard in the city. Kochi is the home of one of the largest ship building facility in India. The shipyard is fully under the control of Government of India. It both manufactures the ships and repairs the damaged ones. It has bagged many tenders to build the ships from foreign countries and is famous for its low-cost production. Several indigenous ships are made here for the sole purpose of use in India. The ships for the Indian Navy is built in the shipyard of Kochi. One of the major contributor to the economy of Kochi is the shipyard, as it fulfills the requirements of both India and foreign. Production of Electronic Hardware is a well-established and profit reaping sector of Kochi. Several ace companies have set-up their factories and manufacturing units to produce the electronic hardware and transport it elsewhere in India and abroad. V-Guard, SFO Technologies, etc. are the biggest players of this market in the area. The authorities are planning to further develop the SEZs, to attract more investors, and inviting international players into the game. BPCL Kochi refinery, the oil refinery units are set-up in Kochi, for the production of petroleum products. Initially under the state government, the BPCL refinery is now under the direct control of the Government of India after BPCL acquired the major shares of KRL. Kochi’s location has a strategic benefit for setting-up the IT and ITES industry. The cables laid under the sea bed is ideal condition for seamless data transmission. Since other places lacks this point, Kochi is proving itself as a strong contender to become the IT hub of India. The presence of tech giants like TCS, Wipro, Xerox, Cognizant, etc., are the proof that the city has a very promising future. Kochi is one of the town selected to be developed as smart city, and procedure for that has already started to take shape. The policies of the government towards the setting of Info city park exclusively for the tech companies is good and their attitude towards the startup companies are also positive. People from different parts of the country and remote areas of the state are migrating here in search of employment and better future. Seafood and Spices, are the two things, that are a part of tradition of Kerala and Kochi. The quality of pepper produced from this part of India is the best in the whole world. It is of superior quality and is exported with a good margin in the international market. It is being cultivated by the local harvesters, processed in the mills and is then transported via trucks in the country, and also via ships through the sea route to countries in the west. Since the quality is the best in the world, the demand is always high and margin of profit is also very high. This results in evergreen market round the year. The setting of spices board by the government ensure the welfare of the farmers indulged in the spices harvesting. Coconut, as in other coastal areas, are a major harvest, and reaps a great profit. There are large fields of coconuts, which produces coconut for local consumptions and for transporting to the markets in the other part of the country. Tourism, health services, and banking services are also one of the major source of income for the state. The presence of backwaters and natural scenery attracts millions of tourists. Tourists prefer this place because of its natural beauty, and for the fact that it is well connected with the other major cities via road, rail and sea routes. There is an International Airport, Railway Junction and National Highway for rail road and air connectivity. The ports connect cities through the water. Finance sector, the service sector, is the largest contributor to the total employed personnel. Banking and other services are included in this sector. Kochi is shining. It is showing signs of very bright future. It has potential and resources to become the smart city that it is being developed for. The policies of the government are in favor and the schemes to develop SEZs, will ensure to bring more investors and the big industries and key players of the field to the local market. To book the trucks and freights online, go to Goods On Move and check their services. The parcel services, packing and moving, shipment transportation, all are done online and you do not have to worry about a thing. It is the smart way of getting things done, simply, easily and without any hassle. No Comment to " Kochi - Industrial Development Post Independence "